Winter might be the coldest season of the year, but it's also the perfect time to throw a wedding that will warm your guests' hearts. 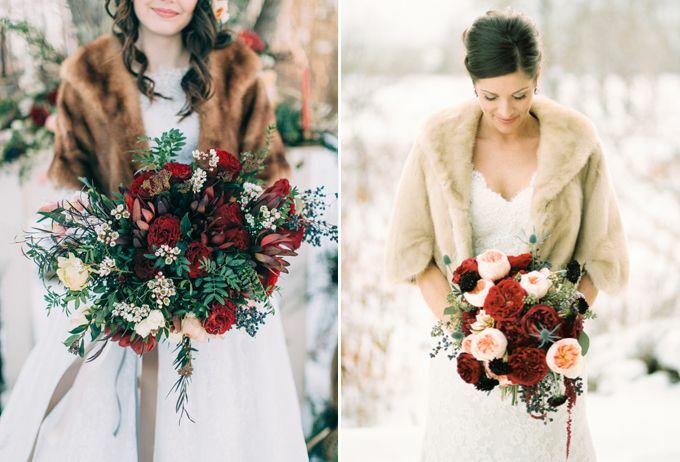 It can be intimidating to plan a winter wedding, however, and that's why we're here to help you. Just follow our simple guide below and you'll be ready to spread the holiday atmosphere through your once-in-a-lifetime celebration. 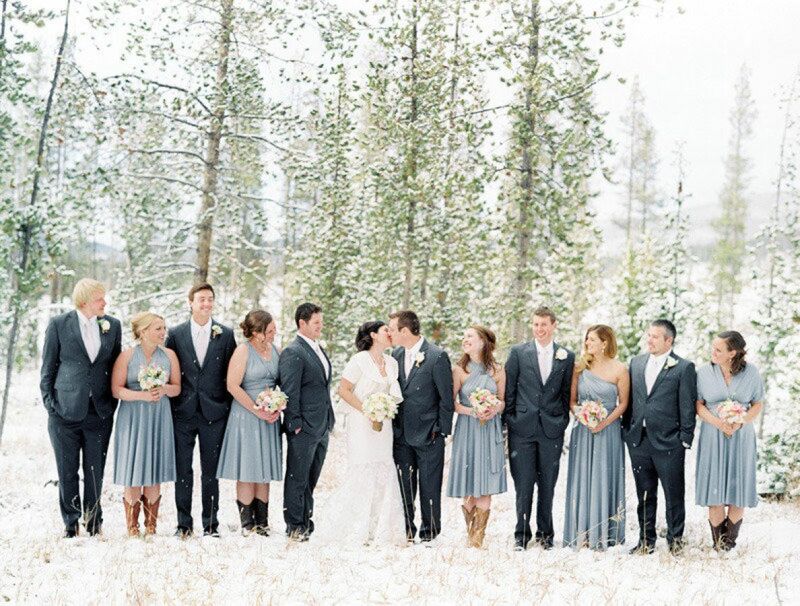 Before you start planning anything, make sure to read our tips on having a winter wedding below. Reconsider having your ceremony and reception at two separate venues. Arranging wedding transportation can be tricky during winter, especially if you live somewhere with heavy snowfall. If you really must do it, choose two venues that are close to each other. During winter, snow can cause heavy traffic or even worse, road closures on the way to your venue. Spare some extra time for your guests to travel to your location, especially if you're having your ceremony and reception at two different venues. Whenever you decide to get married, your guests' comfort is something that should always be prioritized. 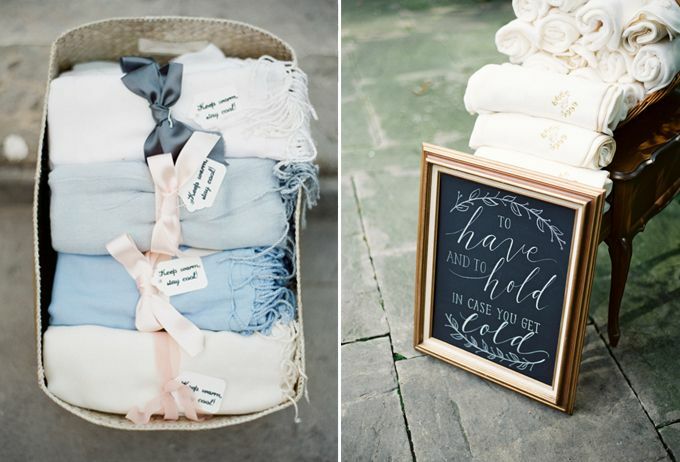 Think of ways to warm up your guests once they arrive at the wedding venue, like serving tasty hot drinks or giving shawls as favors. As you'll be under the spotlight for hours, you might have to use long-wearing foundation and lipstick that can make wintertime chapped lips and dry skin even worse. So, make sure to moisturize your skin well and keep your lip balm ready throughout the day. The sky gets dark earlier in the winter, so pay close attention especially if you're getting married outdoors or somewhere that needs plenty of natural lighting. Ask your photographer about the best time to capture your wedding photos. As effortless and beautiful as they seem, wintertime photos are actually quite difficult to pull off. 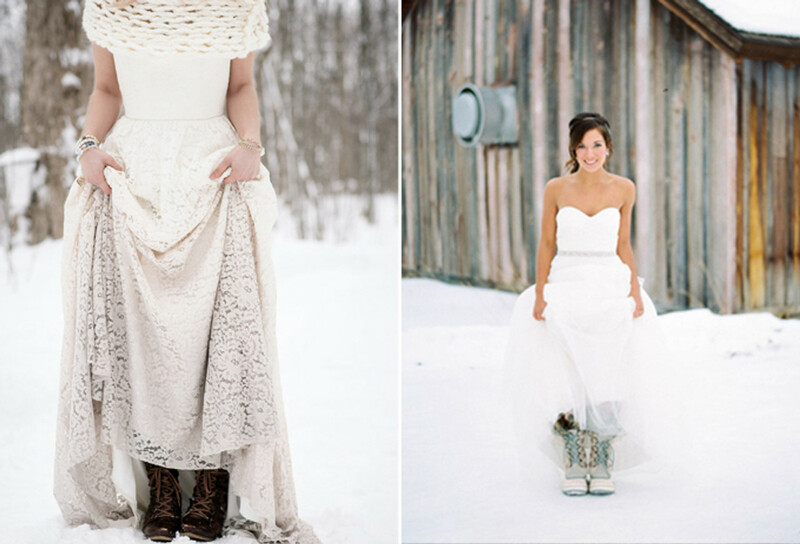 Read on for some easy tips that will get you the best winter pre-wedding photos. 1.Can you handle the cold? 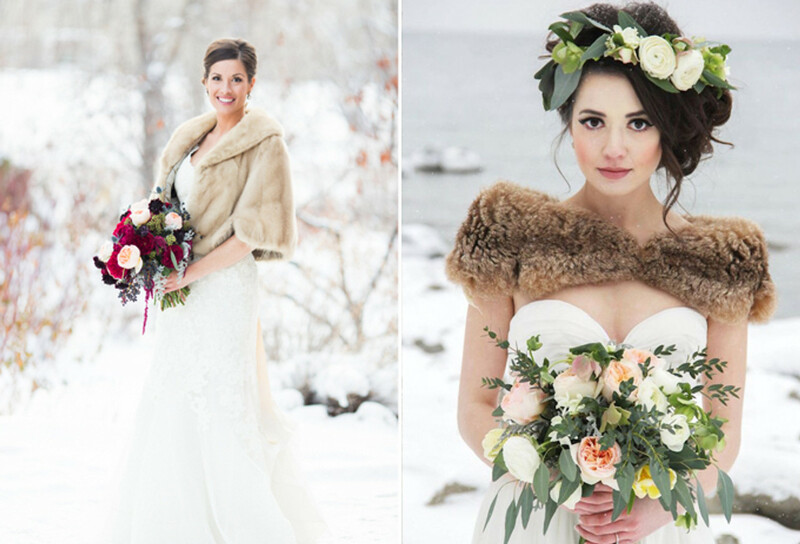 Before deciding to have a winter wedding shoot, ask yourself this question: can I handle the cold? If cold weather makes you cranky and uncomfortable, move your photo shoot indoors. 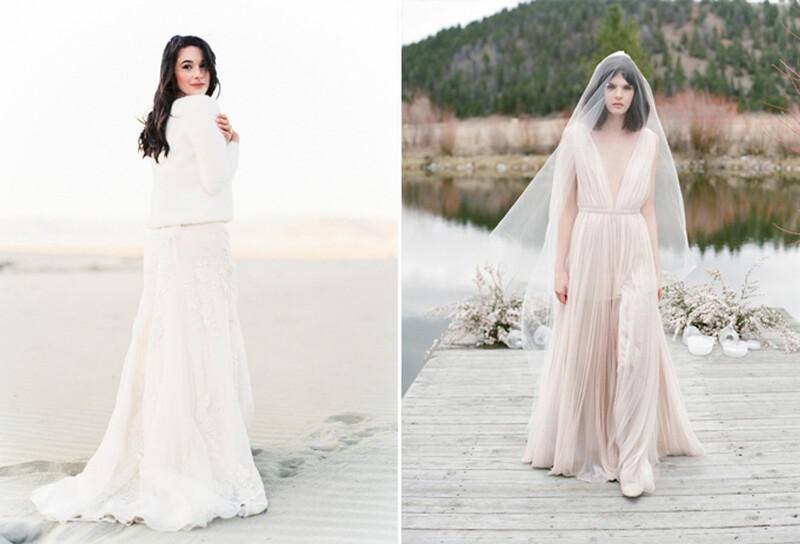 If you love the chilly breeze, then by all means embrace it and rock that photo shoot. Timing affects two important aspects of any photo shoot: light and weather. Days are much shorter in winter and it gets darker much quicker, so it's best to schedule a daytime shoot. Avoid midday shots as the snow will reflect the already too bright light. Instead, try the hour before sunset, which can give you soft gleaming rays that look great in pictures. Whenever possible, take photos with fresh winter snow, which usually comes right after a snowstorm. Don't forget to schedule a backup day just in case a storm or blizzard suddenly comes on your scheduled shooting day. 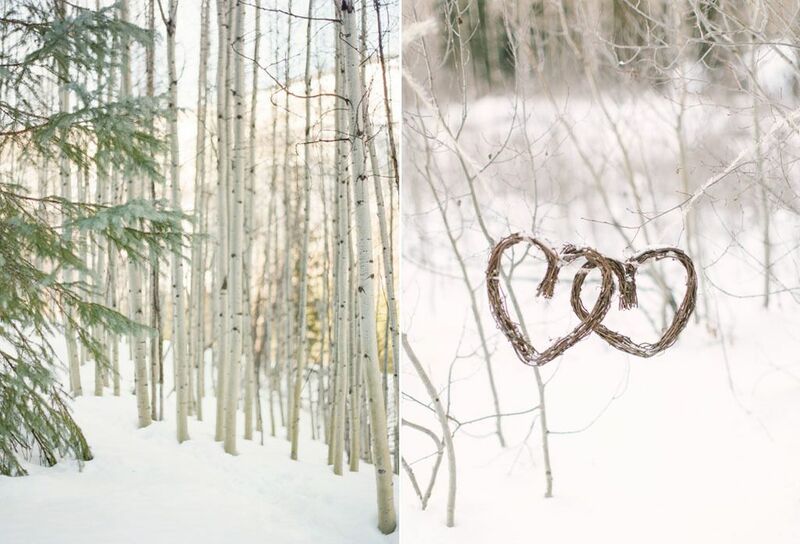 For an earthy look, add some wooden elements to liven up your winter photos. Don't stray too far from your shelter so you can quickly rest when it gets too cold. Avoid lengthy trips that will wear you out before the photo shoot even starts, and don't ever compromise your safety by going through unsafe trails. Stack up on layers of clothing to avoid getting frostbite or other cold-related sickness. Keep yourself warm with cold-repelling accessories like scarves, ear muffs, hats, and mittens or gloves. 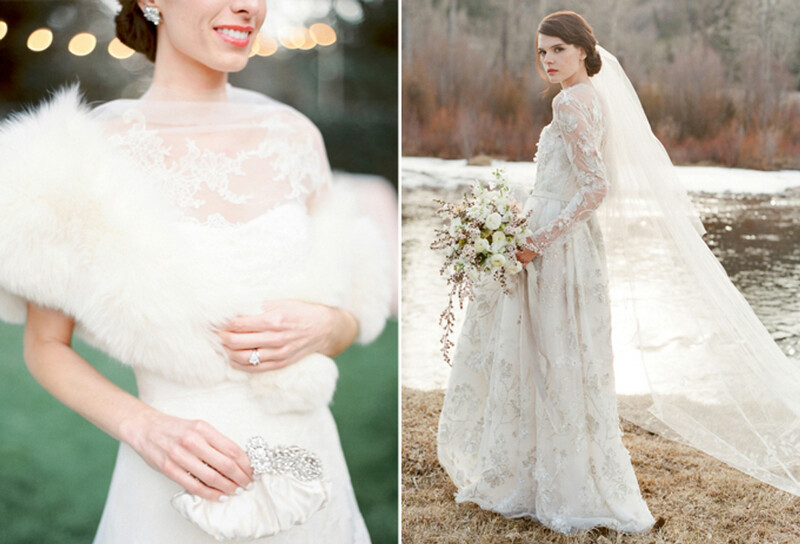 If you're wearing a wedding dress, use a faux fur coat and have your groom wear a tweed suit. Casual trousers, boots, and coats will also look great for engagement shoots. 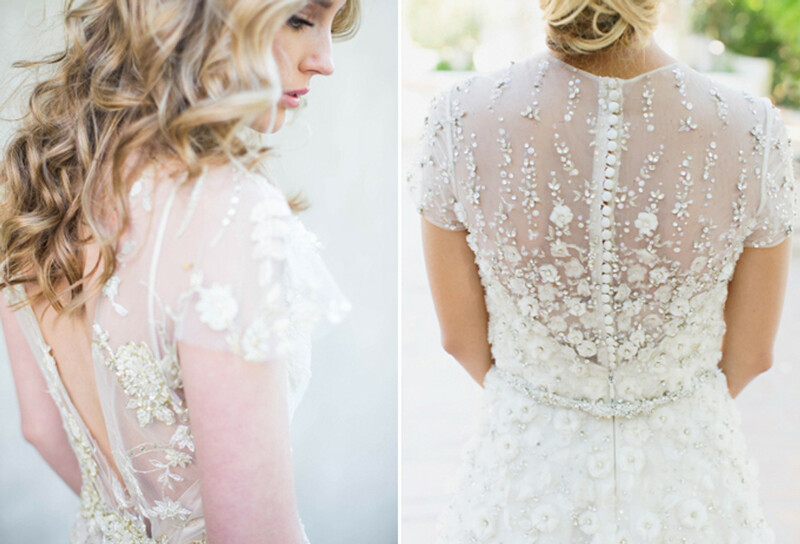 Wear colors other than white as your setting has plenty of white already. Makeup-wise, put on warm and bright colors to add more life into the pictures unless you're aiming for the snow queen look on purpose. If you ever feel exhausted during a shoot, take a break. If you're too tired, it will easily show in the pictures. Head over to the shelter every once in a while to drink hot cocoa along with some snacks. This is actually a great idea for a natural photo concept; just think of how lovely you'll look with rosy cheeks after some warm drinks! Last but not least, choose your photographer carefully. Winter photo shoots require a lot of technique and hiring an amateur photographer will cost you more in the end. 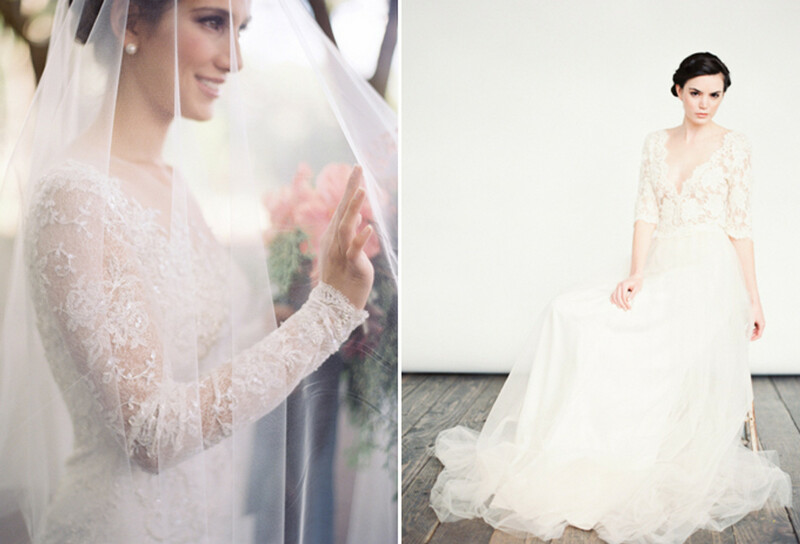 A professional wedding photographer will know what to do and how to direct you in the shoot. 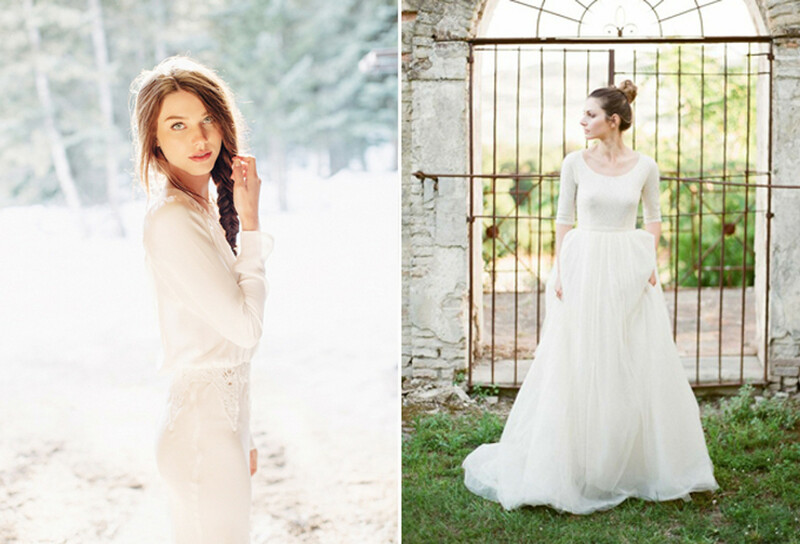 Sure, it might be too cold to wear the airy, delicate wedding dresses you've always dreamed of. But, winter is actually the best time to experiment with luxurious fabrics and pretty accessories, like wool shawls, faux fur, or even boots! Click through the slideshow below for more ideas. 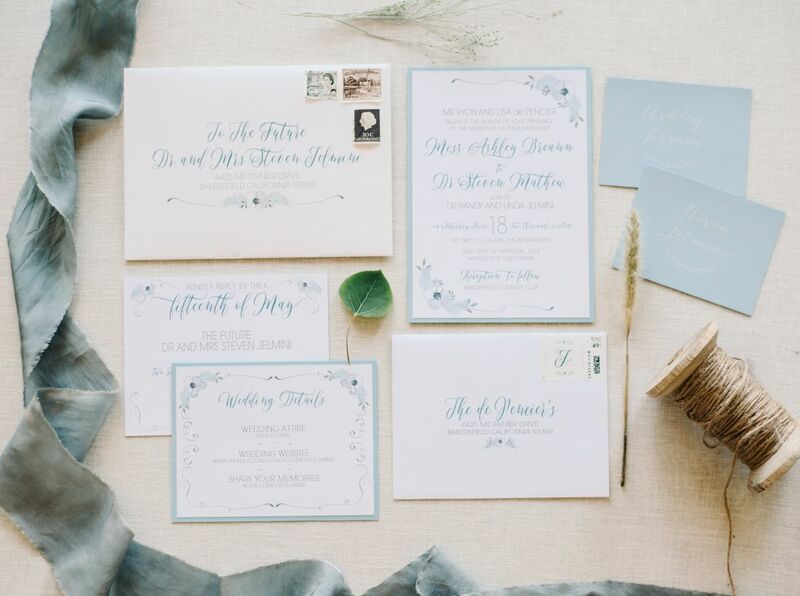 Your wedding invitations will give your guests a glimpse of the celebration you've lovingly planned for months. 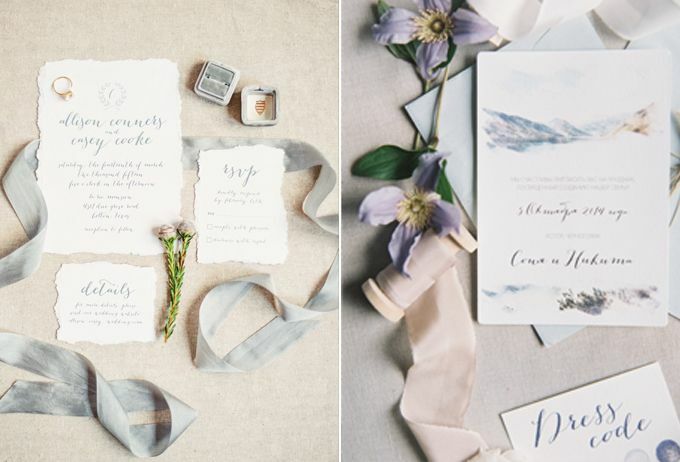 For a wintry wedding, there are so many gorgeous invitation designs you can choose from. We love pairing a classic white background that conveys snow with warmer elements such as botanical prints and hand-drawn calligraphy. No matter which design you choose, consult your invitation designer to make sure that it will blend in perfectly with your wedding theme. 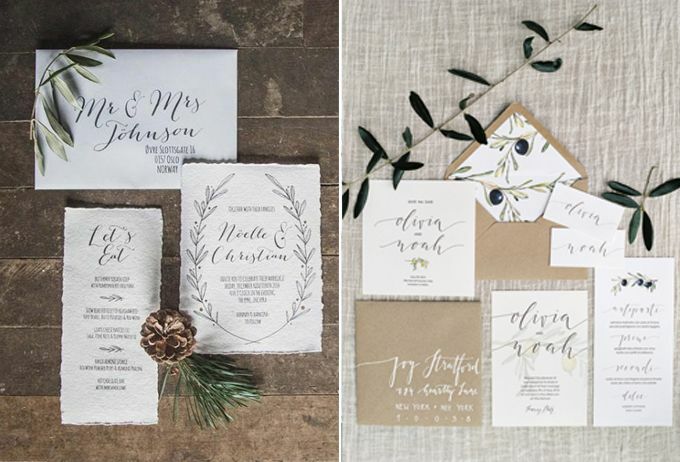 See some of our winter wedding invitation ideas below. 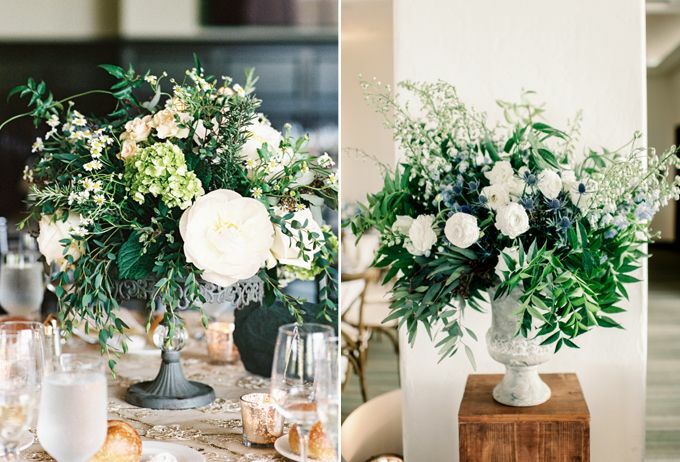 Deciding on your decorations is one of the most exciting parts of wedding planning. Whether you want to have a wintry white wedding or one with a Christmassy touch of red and green, make sure that the decorations match your wedding theme. See some of our ideas below and consult a professional wedding decorator who will help to bring your dream wedding to life. 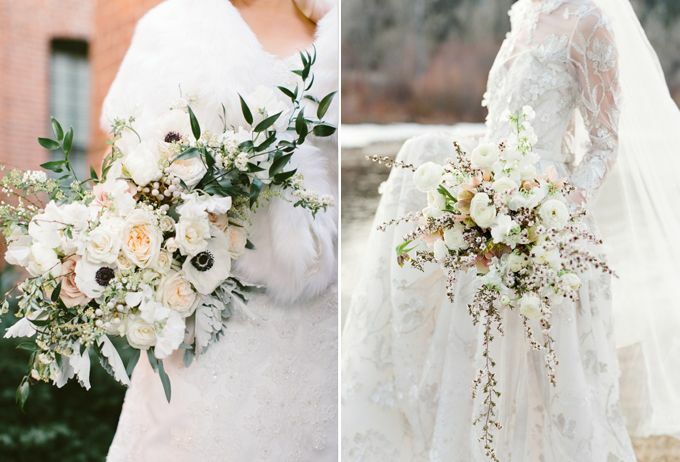 It's hard to think of a wedding without flowers, even in the middle of winter. 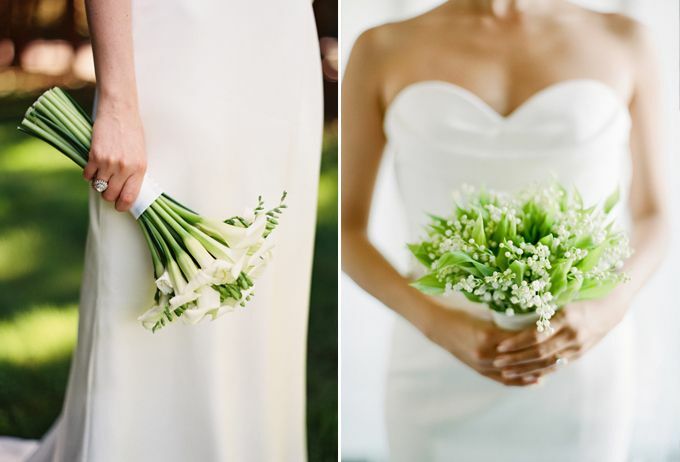 Make sure to choose in-season flowers so your winter wedding can look as lush and beautiful as a springtime celebration. Scroll down for some flower arrangement ideas that would look stunning in the holiday season. We're sure that everyone can agree that the wedding menu plays a major part in your celebration. Make the best of the chilly weather with some crowd-pleasing comfort food and don't forget to prepare eye-pleasing displays to keep your guest visually entertained. 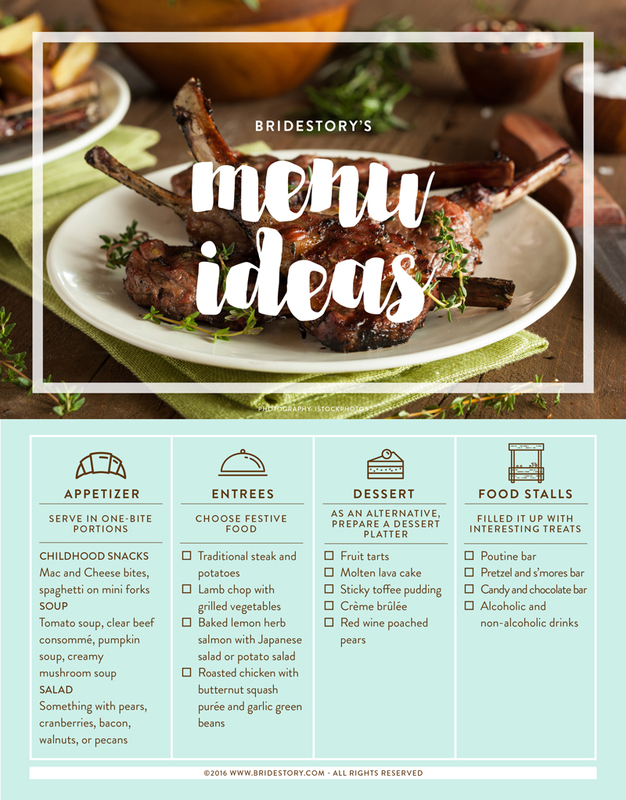 Check out the winter wedding menu ideas below to get you started with your catering planning. There's something about the decorations on these sweet delights that makes us think of the festive season. 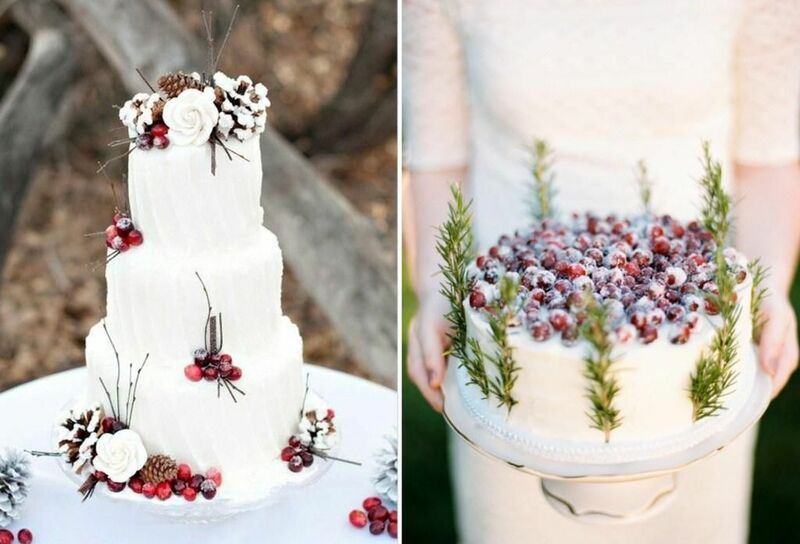 Find out how you can easily get a winter wedding cake with a few simple tricks. To get the desired chilly effect, use cool colors like white, blue, or green. Although they are highly versatile colors, you need to be careful when mixing and matching them, as not all hues of blue and green go great together. For a more icy effect, adorn your cake with edible metallic food paint. Another theme that goes well with winter is Christmas. Use cherries or berries to decorate your cake; doing so will remind your guests of holly, the universal symbol of Christmas. 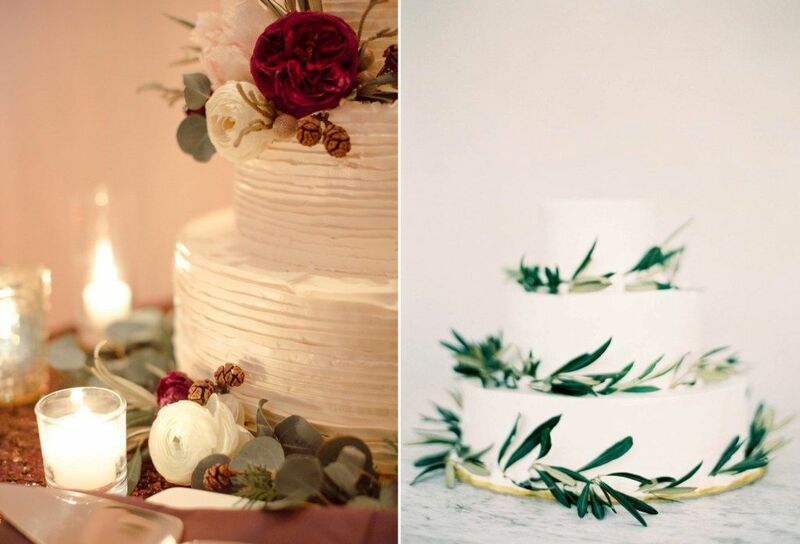 Or, you can also adorn your wedding cake with pine cones and some pine leaves as the leafy decorations will remind your guests of the iconic Christmas tree. 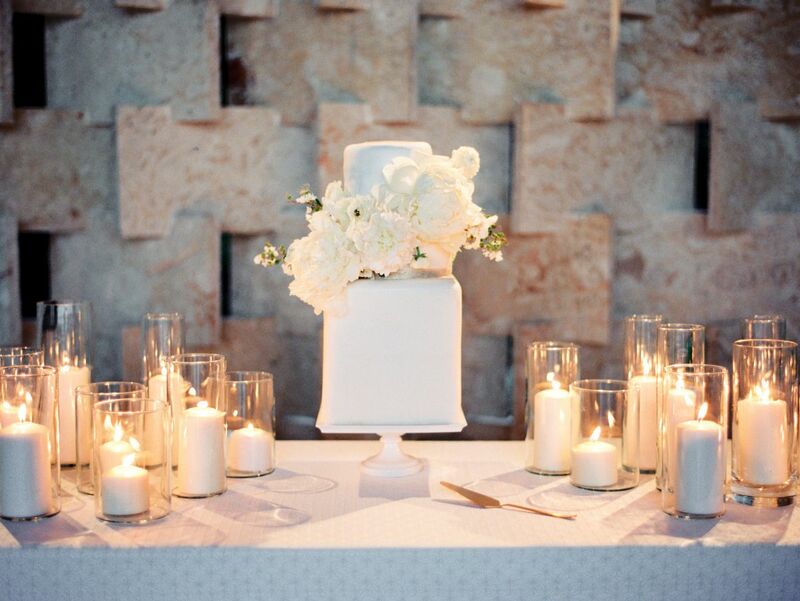 An all-white wedding cake bears a striking resemblance to a snowy winter. 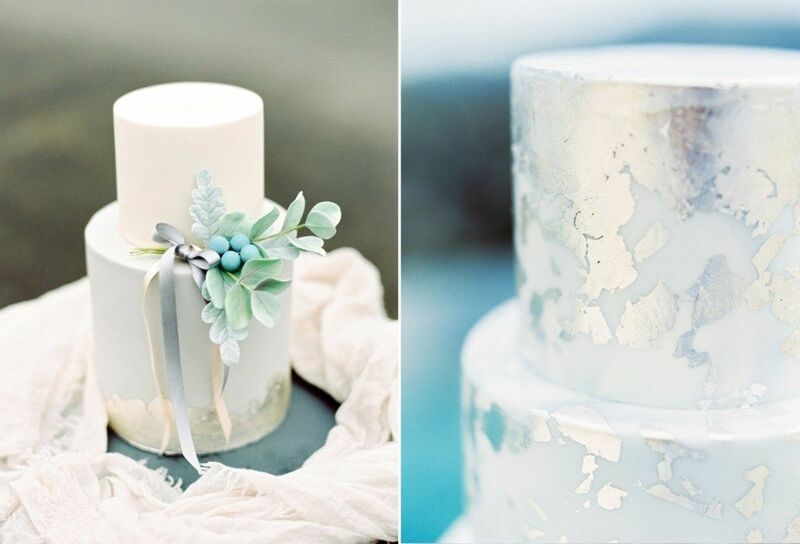 A white cake is not only elegant, it's also highly versatile. You can easily adorn it with any kind of decorations, based on whatever theme you wish to have for your winter wedding. One more great thing about winter, it's the season to bring out all those rich, regal colors that can feel too heavy for other seasons. 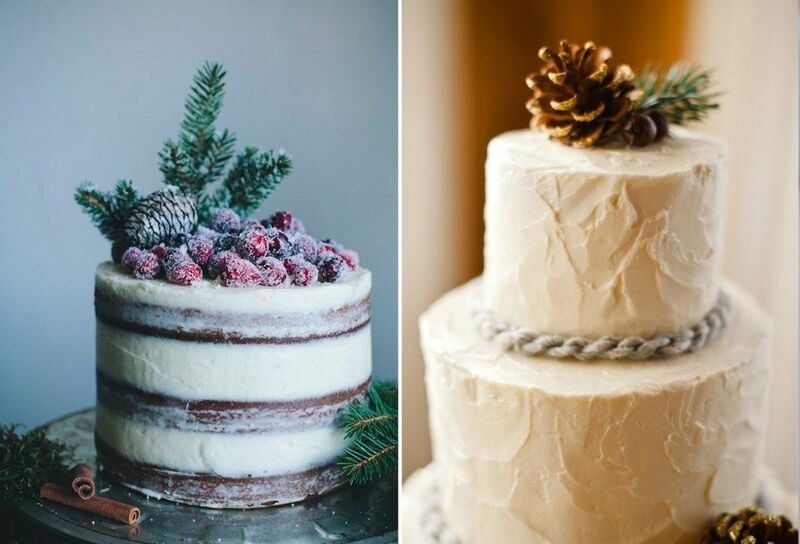 Add streaks of emerald, marsala, burgundy, or navy to your cake to instill a classy winter feel. 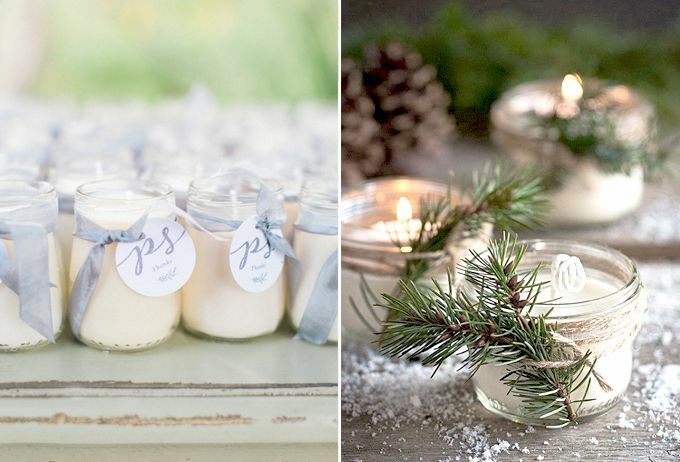 When it comes to wintertime wedding favors and gifts, you can't go wrong with items that remind your guests of home or the holiday season. This wedding favor not only makes a great gift, as it can also keep your guests warm and cozy, especially if you're holding an outdoor wedding. Lighting fragranced candles is a wonderful way to add a festive atmosphere to any home. You can also give packages of potpourri and regular candles as an alternative. 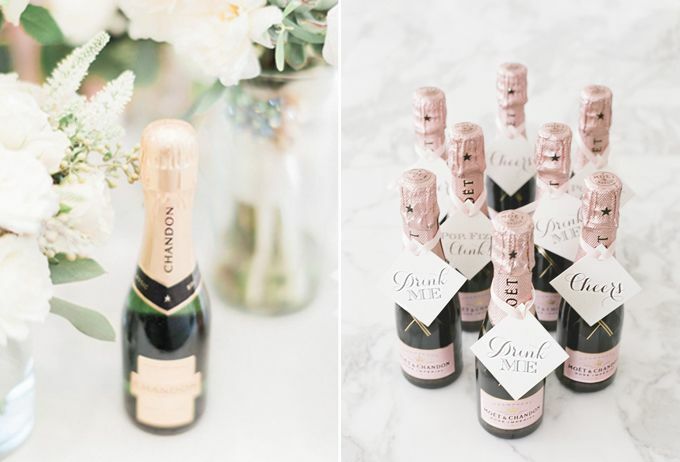 You might serve wine and liquor at the wedding bar to warm up your guests, but have you thought turning them into wedding favors? Pack miniature bottles of wine or other wintertime drinks and give them as your guests leave the venue to avoid any drunken accidents. 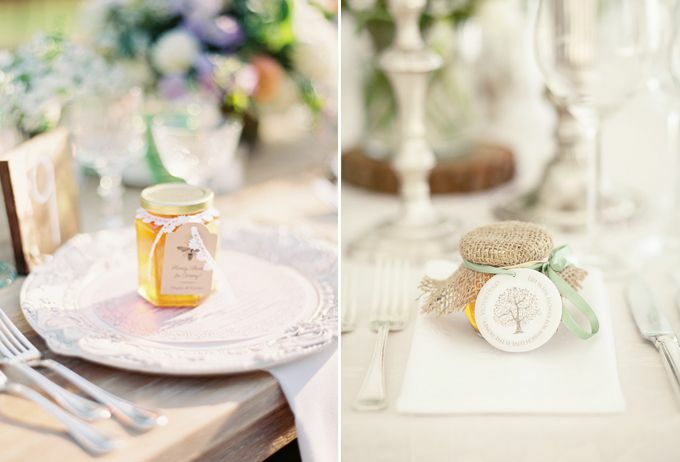 Edible wedding favors are a great idea for winter, and honey in a jar is a particularly popular and easy option. You can get creative with the packaging, adding a honey dipper or pairing it with tea for a nice touch. Get unique glass bottles and find infused oil recipes online to fill them with. 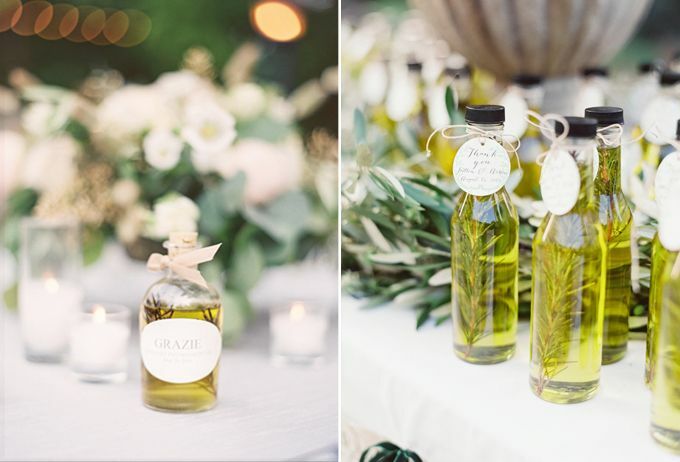 You'll have plenty of fun creating homemade infused oils and who knows, you might discover a unique combination that can please your guests. This childhood dessert tastes especially delicious during winter. 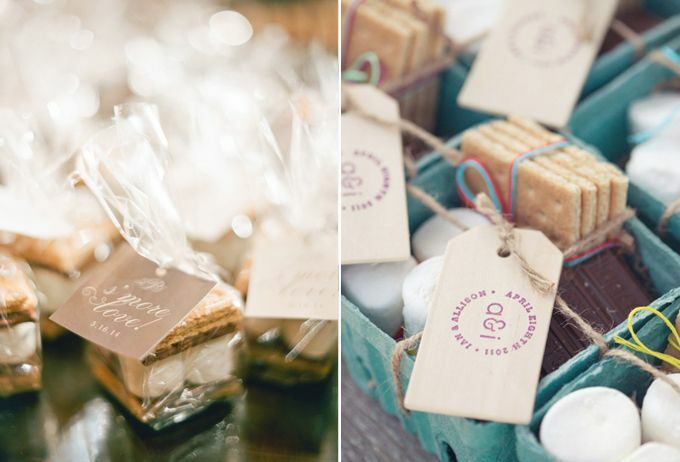 Find the perfect s'mores recipe online and get creative with the wrapping ideas. If you'd like go on a honeymoon trip in winter, we've summed up seven stunning destinations to choose from. From chasing northern lights to escaping the winter chill, the choice is yours. Stepping into Prague, with its castles and old town squares, will make you feel as if you're transported into an old movie setting. December is a wonderful time to visit the annual Christmas markets, where you can find delicious food and traditional goods to bring home. 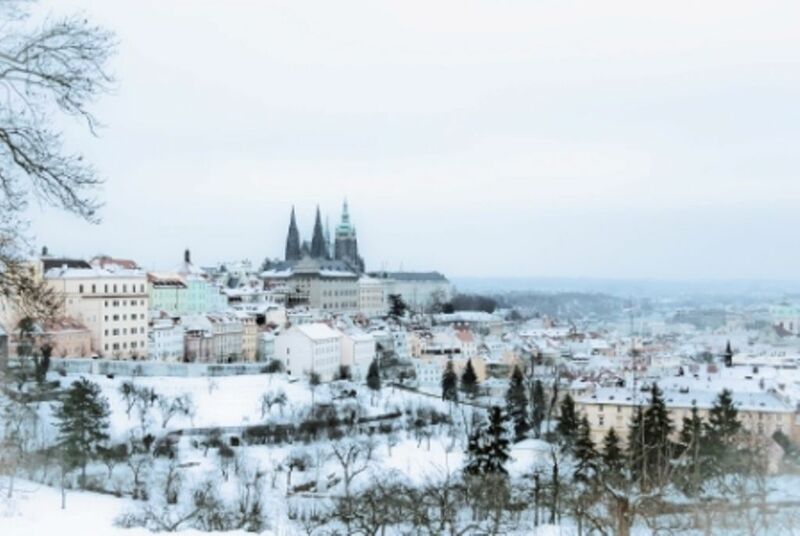 You might also encounter a magical white Christmas moment, during which the whole city is covered in snow. 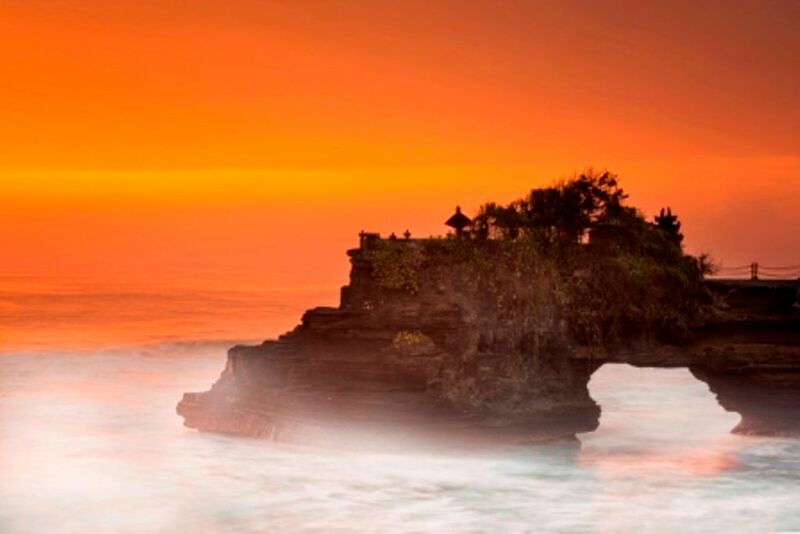 From culinary trips to adventurous trekking to water sports, Bali has it all. Couples who love to relax can stay in the island's luxurious resorts to enjoy spa treatments and watch traditional Balinese dance performances for a dose of culture. To end the night, a candle-lit dinner by the beach is always a great option. If you want to escape the winter chill, why don't you fly over to the Maldives for a private and romantic beach trip? 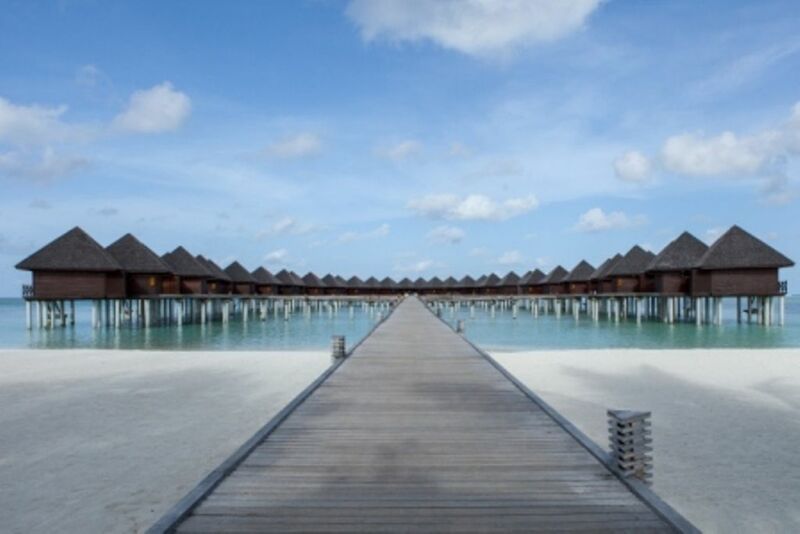 With its high-class resorts, culinary delights, and rejuvenating spa treatments, Maldives has everything you need for an intimate honeymoon to remember. The Aspen ski resort in Colorado is especially great for those who seek a secluded romantic getaway. 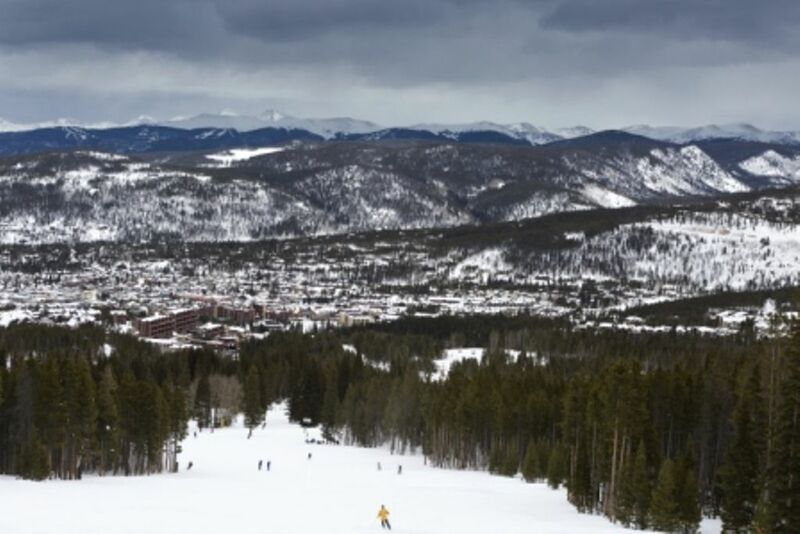 Nestled in the Rocky Mountains, the resorts have comfortable rooms complete with full facilities and, of course, a wealth of snow for you to ski on. Perfect for thrill-seeking couples who love outdoor activities. The country is filled with so many stunning views that have featured in award-winning films, the Lord of the Rings and the Hobbit. 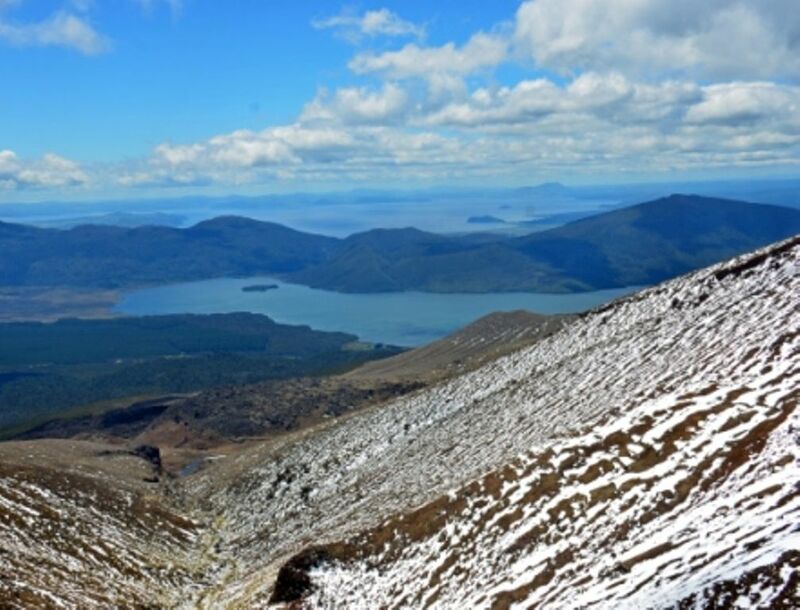 New Zealand might not be a major shopping destination, but a helicopter trip to see glaciers of the Southern Alps and the clear waters of Lake Taupo is a luxury like no other. 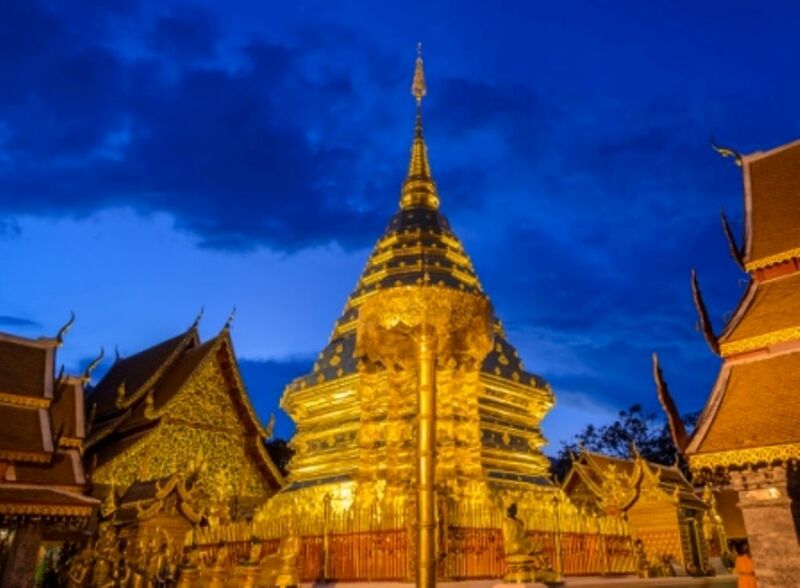 Aside from mouthwatering food and vibrant temples, Thailand also has the friendliest weather for travelers. If you're looking for some fun in the sun, don't miss out on Phuket and its nearby islands. But if you're looking for a slow-paced destination filled with nature and cooler weather, check out one of the charming riverside resorts in Chiang Mai. Aside from out-of-this-world mountains and glaciers, Iceland offers exciting activities including horse riding and caving. Visit the Blue Lagoon, a geothermal lake that helps your body to relax and reenergize. 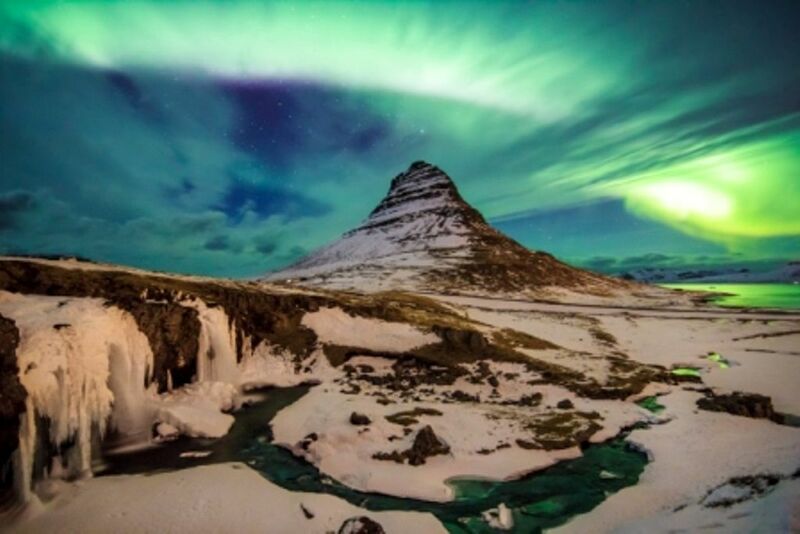 Don't forget to witness the aurora borealis for a truly unforgettable honeymoon moment. December to February are good months to see the northern lights since the nights are long and the weather is relatively stable.